Our scheduling is designed to permit the maximum time needed for your requested service. Please help us to better serve your needs by being on time for your appointment. 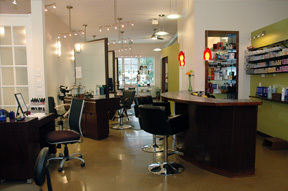 For your convenience, we recommend that you schedule your next appointment prior to leaving the salon. We ask for, and appreciate a full 24 hour cancellation notice. A "No-Show" charge will be incurred for appointments missed without adequate notice. Credit cards may be required for certain appointments. Arriving 15 minutes prior your first time services is appreciated. We are a family friendly salon; however we ask that you make provision for childcare, for children who are not receiving a service. Children may not be left unattended while you are receiving your personal service for their safety, and the consideration to others. Consultations for any of our services are always available. For your convenience, we provide robes prior to your service, as the salon will not be held responsible for damage to your clothing. Prices listed are approximate and can vary based on factors such as length of hair, special effects or additional services. Services performed at times other than normal business hours are subject to a price increase. There are no refunds on services or Gift Cards. We accept cash, checks, VISA, MASTERCARD, DISCOVER and ATM/Debit Cards. Gratuity may be added to check. A $25.00 service charge will be added to all returned checks. With receipt: You may return an item for exchange or merchandise credit within 30 days of purchase. We can only accept returned items with a sales receipt. All sales are final after 30 days. Jewelry & Hair Accessory are final sales. Non returnable items: Brushes, make-up, hair extensions and wigs. Gift cards are available in any denomination for any of our services and can be mailed anywhere within the state. Deposits are required to hold any date for any formal event, for groups of 4 or more in your party. Deposits are non refundable in the case of cancellation with less than 1 weeks’ notice. Deposits may be required prior to special orders. 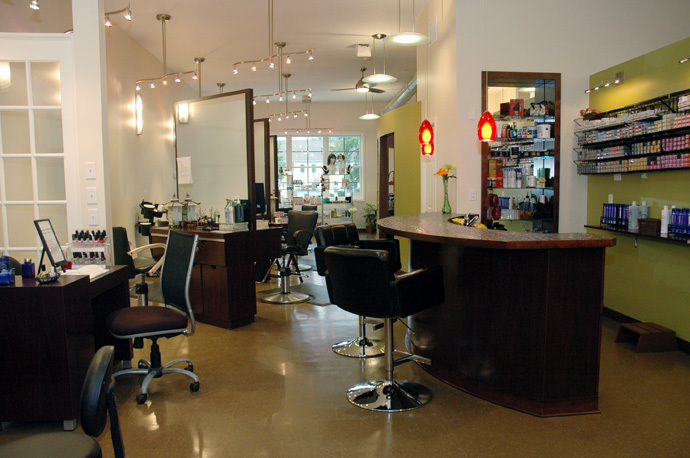 If you are receiving a color service for the first time with us, manufacture guidelines require us to perform a patch test to determine whether or not you may have any allergies to our color line. It is then the responsibility of each of our guests to receive patch test, according to the manufacture guidelines, prior to each and every color service to be provided there on out. This is to ensure your safety, for at any time you could develop an allergy.